Get on over to the Jersey Lilly, in Ingomar MT, Sat. 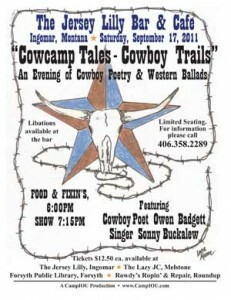 September 17th, 2011 for an evening of Cowboy Poetry, Western Ballads and Great Grub. Eastern Montana cowboy poet Owen Badgett and western ballad singer Sonny Buckalew are performing at The Jersey Lilly in Ingomar, MT on Saturday, September 17th. Doors open for food at 6:00PM. The performance is at 7:15PM. It is an evening for celebrating the colorful cowboy tradition, with a mighty combination of Sonny Buckalew’s songs and Owen Badgett’s words. 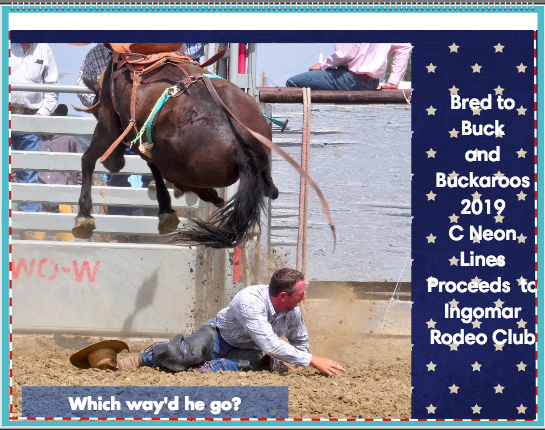 Badgett, who now lives in Ingomar, has performed for crowds at the Cowboy Poetry Gathering in Lewistown, MT; at the Cowboy Poetry Gathering in Elko, NV; at the High Plains Western Heritage Center in Spearfish, SD; at Salinas, Ridgecrest and Lone Pine, CA – during the Lone Pine Film Festival. 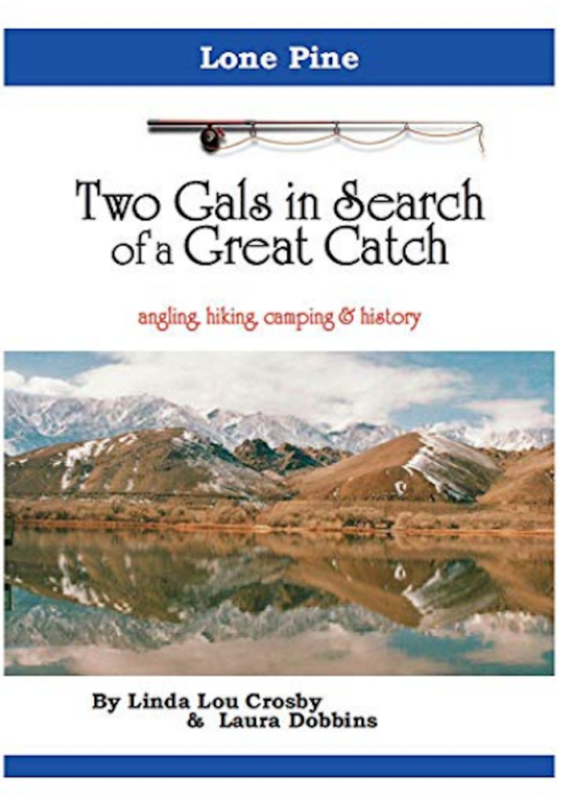 Badgett and Eastern Montana are the subjects of a documentary, “The Gypsy Cowman…A Vanishing Breed”, produced by Linda Lou Crosby, of Ingomar, that premiered in Miles City, MT and Lone Pine, CA in 2009. For an evening of fun, food and cowboy lore, come to the Jersey Lilly, Saturday, September 17th…Tickets are $12.50 ea and available at The Jersey Lilly, Ingomar; The Lazy JC, Melstone; Forsyth Public Library, Forsyth, and Rowdy’s Ropin’ and Repair, Roundup. Call 406-358-3389 for more information. This is a Camp IOU production.